The fact that the 28th matchday in the Bundesliga promises to be a very special one is, of course, primarily due to the top match between FC Bayern München and Borussia Dortmund, which will take place on Saturday evening at 18:30 in the Allianz Arena , The championship is probably not yet decided in this direct duel of the heavyweights and yet it is about absolute big points in the fight for the title. On the other hand, the encounter between 1. 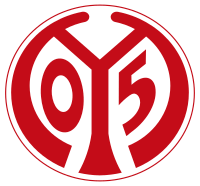 FSV Mainz 05 and SC Freiburg, which starts the match day in the highest German league on Friday evening, is considerably more relaxed, at least in tabular form. With ten or twelve points ahead of the relegation relegation place and just as many meters behind the international business, one can speak of a typical game in the gray midfield of the classification. The starting positions of both teams are still different, because while the Breisgauer last knew quite convincing and lost only one of the past eight games in the Bundesliga, collected the Rheinhessen in the same period a whopping seven defeats. For this reason, it is somewhat surprising that between Mainz and Freiburg, the odds of a home triumph imply a 44% probability of occurrence. Possibly, the distribution of the odds is also due to the fact that the sports club in the carnival stronghold is a welcome guest. Before placing the betting slip, it will in any case be important to analyze various factors and, on the basis of this, to filter out the suitable prediction and best tip for the clash between Mainz and Freiburg. If you watch the 1. FSV Mainz 05 in the second half of the season, it is virtually unimaginable that the team in the same composition in the first half-series still caused a sensation and was even allowed to dream of Europe in the meantime. The winter break seems to have hurt the team of coach Sandro Schwarz but rather. Nine points from the first ten matches in 2019 are a weak yield, which is undercut only by four clubs in the back series. The euphoria has long since given way to the dreary everyday life on the old Bruchweg, even though the starting position in terms of relegation continues to be comfortable. With currently ten points ahead of the relegation place, the red-whites should, however, maintain the caution and urgently retract the points still needed in the coming weeks. Last FSV success stories had absolute rarity, because only one of the past eight Bundesliga games was the table-13. decide for themselves. The remaining seven games were all lost. Conspicuous: The mostly so compact defending in the first round defense has degenerated since the turn of the year to the weak point. No other Bundesliga club conceded more goals this year than the Rheinhessen. With 26 goals, Mainz is even above the summed-up value of the first round (22). Not surprisingly, then, that between Mainz and Freiburg our prediction is aimed exactly at that defensive weakness. Here we tend in principle to betting that the guests from the Breisgau meet at least once in the first half. Nine of the 16 goals conceded in front of their own fans caught the Mainz namely before the break tea. In the past five games alone, there were seven of them. If you look at the recent nine encounters, keeper Florian Müller had to even in two-thirds of all cases (six times) fish the ball between one minute and 45 from the net. Even though coach Sandro Schwarz demands a concentrated defensive performance from his charges on Friday evening, the uncertainty in the 05ers is currently so great that individual mistakes can happen at any time. Personnel there were during the week a good and a bad message to announce. The fans should be pleased that the suspension against key player Gbamin was canceled after his late arrival and the Frenchman will thus return to the team. On the other hand, supporters say that Atletico Madrid are showing serious interest in 21-year-old left-back Aaron Martin and that they are prepared to pull the contract-based exit clause to replace Lucas Hernandez in the Spanish capital guide. Rene Adler, Gerrit Holtmann, Phillip Mwene, Issah Abass and Emil Berggreen are still missing due to injuries. 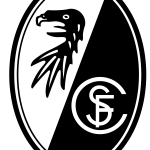 Will the SC Freiburg tip the scales in the championship fight? Although it is of course still too early, seven games to go, to assess the two-point advantage of Borussia Dortmund on the FC Bayern as a small preliminary decision, nevertheless, in the wake of this season, the away game of Munich in Freiburg claim an enormous significance for themselves , After six Bundesliga victories in a row, it was the Breisgauers who took the two-point lead at the 1-1 draw and created a party atmosphere in the Black Forest Stadium. The draw was by no means undeserved from the point of view of the sports club, as the team of Christian Streich delivered one of the most courageous matches of the current season and thus once more underpinned that the collective has developed extremely positive compared to the first round. A balance of two wins, five draws and three bankruptcies is not necessarily the main reason to risk between Mainz and Freiburg a tip on the away win, but the fact that the Breisgauer only one of the last eight games in the German Beletage lost, should nevertheless be considered as well as weighted in the subjective assessment. Even more interesting, however, is the analysis of potential market recommendations. On the one hand, the Black Forests are one of only a handful of teams to score more in the first half than in the second. On the other hand, the strike-Elf presented in the recent past in the first 45 minutes enormously effective. In seven out of the last nine matches SCF scored at least one goal before the break. Nils Petersen and Co. remained in the second half of the season in only two of ten games without their own goal after 90 minutes. However, the new offensive strength of the guests, especially at the beginning of the game, is also necessary, as a 1-0 lead significantly increases the chances of winning the Sport Club. Like the Mainz, the Breisgauers were not able to turn a backlog into a victory. All in all, between Mainz and Freiburg, the odds of scoring a goal in the first half put off perhaps the most promising value. For Robin Koch and Nico Schlotterbeck a deployment on Friday is likely to come too early. Phillip Lienhart, Lukas Kübler, Mark Flekken, Tim Kleindienst, Florian Kath, Roland Sallai and top scorer Nils Petersen will be eliminated due to injury. The former Bayern professional has long since ceased to be the only entertainer in the Freiburg offensive. Also Lucas Höler, Under-21 international Luca Waldschmidt or Vincenzo Grifo turned out to be very dangerous at the end, which is why we do not consider the failure of Petersen as K.O. criterion for our assessment. In the Bundesliga, the balance between these two teams in eleven wins, four draws and four defeats speaks quite clearly in favor of Mainz. The Rheinhessen won the last two matches against Freiburg with two goals difference (2: 0 and 3: 1). In addition, the FSV won against no other Bundesliga more often than against the sports club. By the way, the 05ers did not concede a single defeat against the Breisgauer (six wins, three draws). Will this series break on Friday night? Although both the Mainz and the Freiburg are placed in the gray midfield in the classification and under normal circumstances should not slip into the descent strudel, the direct duel promises plenty of excitement and explosiveness. The Rheinhessen have set after four recent defeats in a row the goal to end the negative series and continue the good record against the Sport Club (at home so far undefeated). For the guests from the Breisgau, on the other hand, it is about confirming the strong performances from the last few weeks and remaining unbeaten in the ninth Bundesliga game for the eighth time. 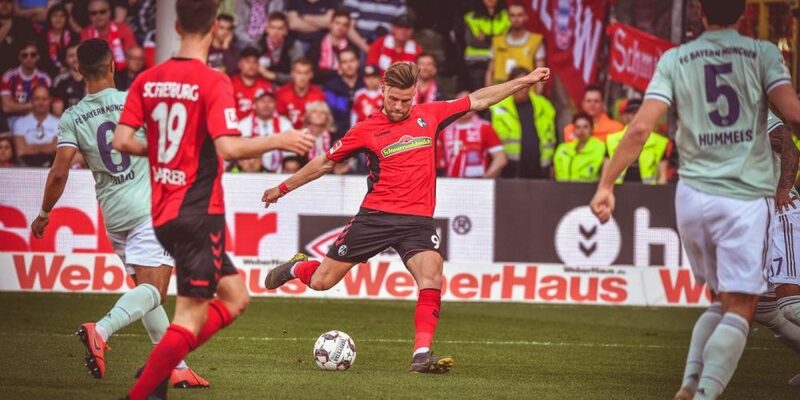 Because between Mainz and Freiburg – also due to the odds – a prediction on the winner of the game is difficult, we tend to an alternative betting market. The FSV is currently the defensively vulnerable back round team of the Bundesliga. The Black-Elf conceded in ten games already 26 goals, four more than in the entire first round. The Black Forests, on the other hand, turned out to be a real offensive force, scoring in eight out of ten matches in 2019 and playing much more courageously than over long stretches of the first half. In seven of the most recent nine matches, at least one goal was scored in the first round. Because of that we have in the duel Mainz vs Freiburg for the tip to attractive odds decided that the prank protectedcome again before the break to the goal.